Despite what our name may suggest, life is actually pretty colourful here at Grey Matter. We recently took a moment to pause for breath after a non-stop first quarter of 2019. Looking at the projects we’ve completed so far this year, we were reminded just how broad the work of a full-service creative agency can be. A lovingly restored mansion, transformed into a stunning boutique hotel deserves an equally impressive brand and website. That’s what we set out to create for Halifax Hall, a steel baron’s mansion in the heart of west Sheffield, now offering outstanding accommodation and venue space. We incorporated video and photography to capture and showcase Halifax Hall’s beautiful features, and we gave the existing brand a refresh to bring it in line with the quality of the hotel. 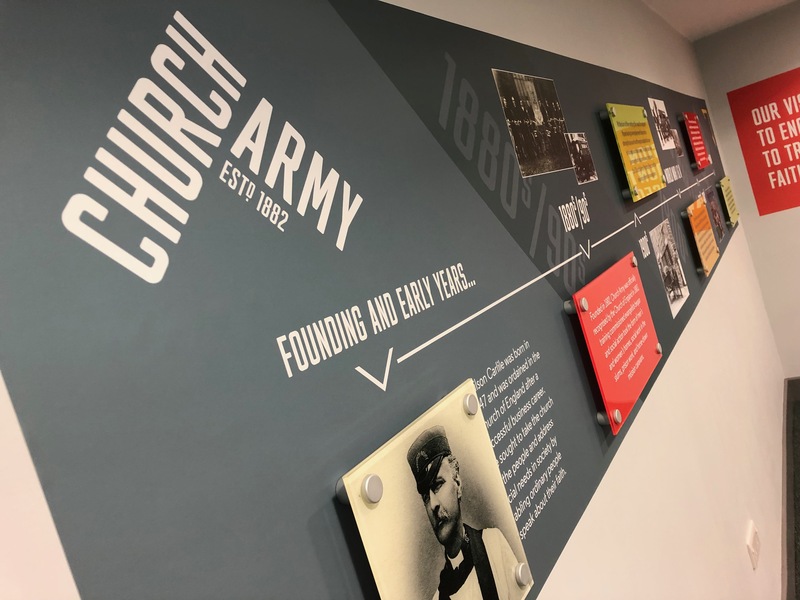 From web to wall, we have worked with Sheffield’s branch of the national charity, Church Army to create new wall graphics for the reception at their West Street headquarters. We ensured that the values of the charity were reflected in welcoming and attractive designs, suitable for large scale print. Our client Utopia Tableware is a leading industry supplier of Glassware, Tableware & Foodservice Equipment. We designed two 500 page catalogues, showcasing more than 3500 products. We applied meticulous attention to the layout and design of the catalogue to reflect the exquisite style and quality of Utopia’s product range. Looking ahead to what the next couple of months have in store, two members of our team will be heading over to Munich to project manage our client, Spiroll’s presence at Bauma, the prestigious international trade fair for construction machinery and equipment. As we’ve written about before, exhibitions and trade shows are often the pinnacle of many company’s marketing activities, so it’s worth investing in the services of creative experts that can help you get it right. Full project management means that we’ve been working with our client from booking the stand to designing the collateral, and we’ll be there for the build and breakdown of the stand, and the post-event debrief. Across our varied projects and many different clients, we are unwavering on quality. Whatever the project – be it digital or print, rebrand, or refresh – the Grey Matter promise comes as standard. Get in touch with us today to discuss your next creative project.